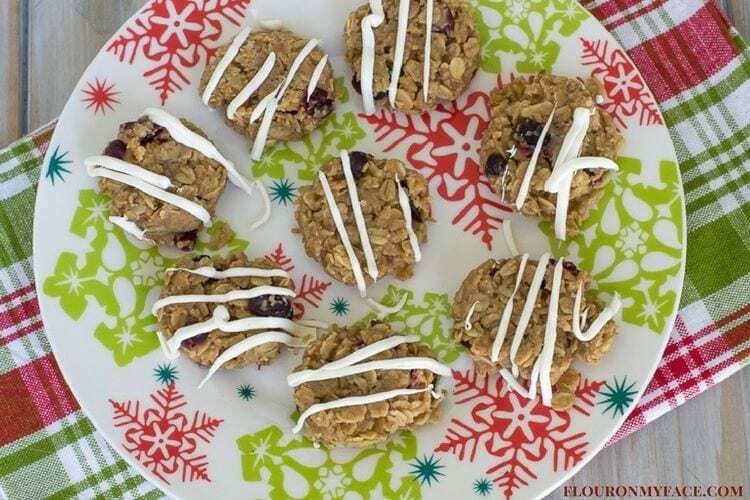 These No-Bake Cinnamon Peanut Butter Cranberry Cookies are so good! They are easy to make and no oven is required! This no-bake cookie recipe is perfect for a Christmas Cookie Exchange. This weeks No Bake Cinnamon Peanut Butter Cookie recipe is part of the #FoodBlogGenius monthly collaborative recipe roundup. 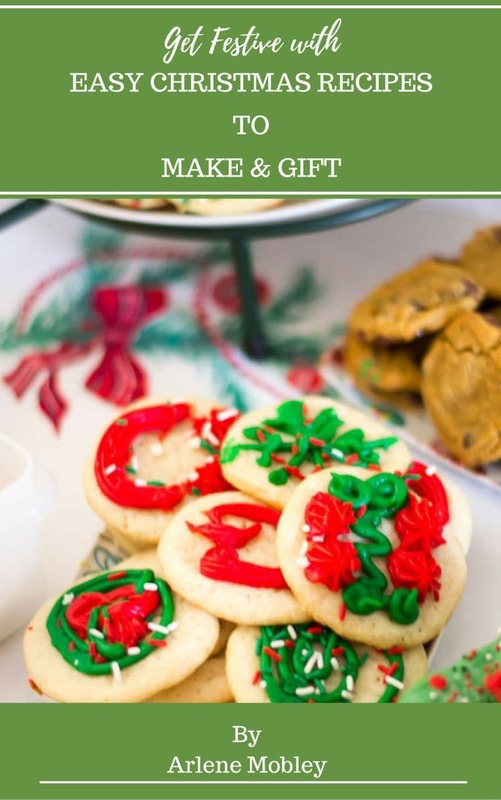 This week in celebration of the upcoming holiday season we are sharing cookie recipes that are perfect to help you celebrate the Christmas season with something sweet and tasty. No-Bake cookies are perfect for anyone who does not like to bake but still wants to make and enjoy a special holiday cookie. 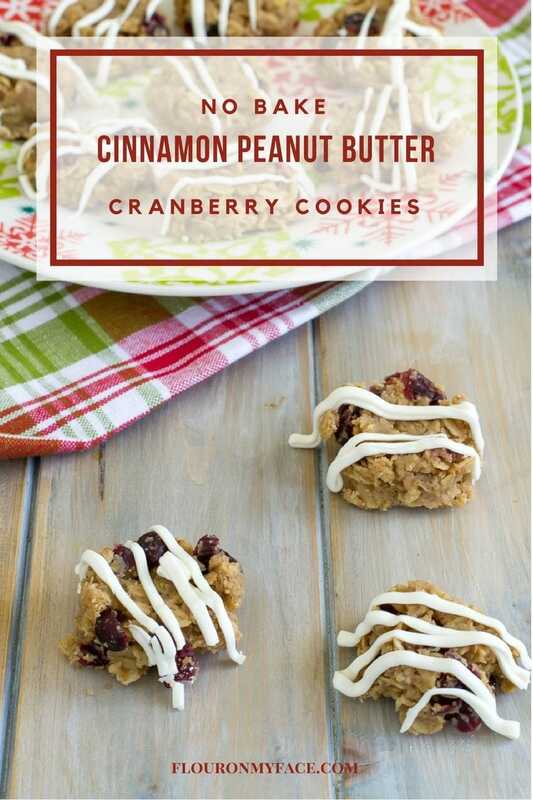 This no-bake Cinnamon Peanut Butter Cranberry Cookies recipe might look a bit familiar. It is the sister recipe to this No-Bake Peanut Butter Cookie recipe. I took that old fashioned no bake peanut butter cookie recipe everyone’s grandma used to make and updated it a bit to add some more holiday flavors like cinnamon and cranberries. Do Cinnamon and Peanut Butter Go Together? A few months ago when I made that old-fashioned no-bake peanut butter cookie recipe I sprinkled some cinnamon in half the recipe just to test it out. 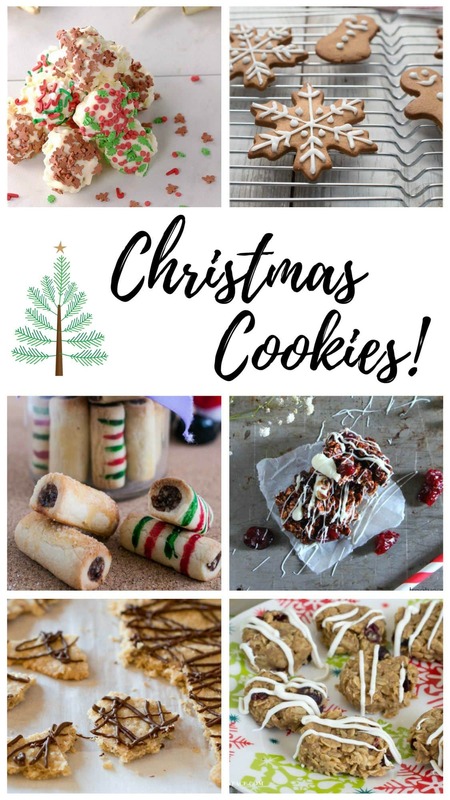 I am so glad I did because that was the inspiration behind these No Bake Cinnamon Peanut Butter Cranberry Cookies that I knew would be perfect for a Christmas Cookie exchange. If you ever wondered if cinnamon and peanut butter go together I can tell you yes these two flavors are perfect together. I love to spread peanut butter on a low carb tortilla and sprinkle cinnamon over it the microwave for a couple of seconds to warm the peanut for a quick healthy snack. Happy Holidays from the bloggers of Food Blog Genius! Cover a large cookie sheet with parchment or wax paper. Melt the butter in a large sauce pan on low heat. Add the sugar, salt and half the milk to the pan and bring to a rolling boil. Boil, stirring constantly for 2 minutes. Remove pan from the heat and add the peanut butter, mixing until combined. Add the vanilla extract and half the oats. Mix well until combined. Mix in the remaining oats and milk. Stir the cranberries in until evenly distributed through out the cookie dough. Using a teaspoon or a small cookie dough scoop drop the cookie dough onto the cookie sheet leaving about 2 inches between each cookie. Slightly flatten each cookie with the back of the spoon or dough scoop. Allow cookies to sit undisturbed for a few hours or refrigerate to harden faster. Once hardened melt the vanilla chips or candy melts in a sandwich baggie. 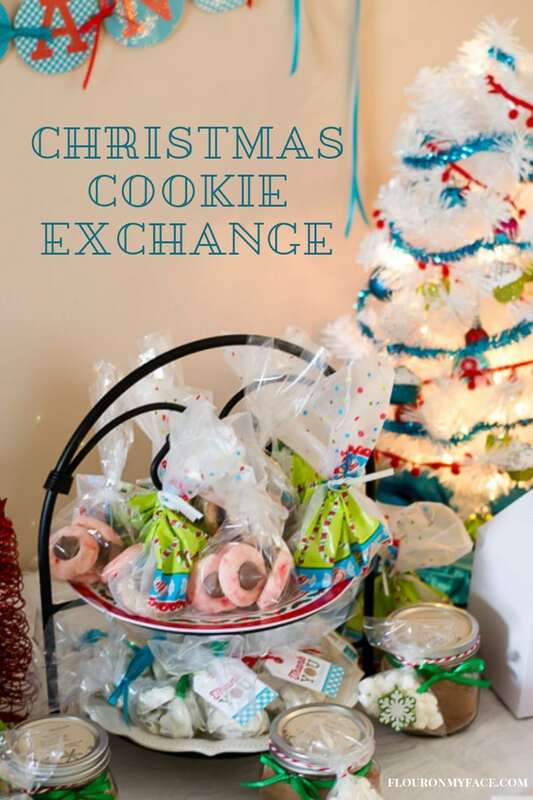 Snip a small hole in the corner and drizzle the melted candy over the cookies. Allow to harden before storing in a single layer with parchment paper in between the layers in an airtight container. 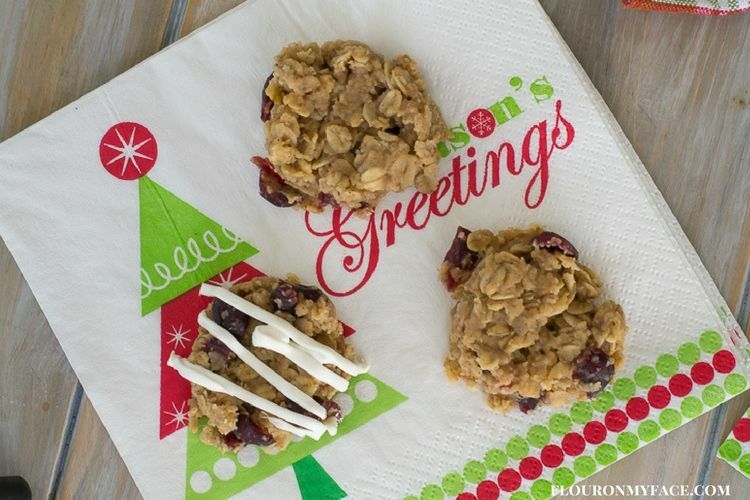 No-Bake Cinnamon Peanut Butter Cranberry Cookies are so good! They are easy to make and no oven is required! This no bake cookie recipe is perfect for a Christmas Cookie Exchange. I love no bake cookies–all the different varieties. This one sounds perfect for this time of year! Yes this recipe can be changed up with other ingredients to make a totally new cookie recipe. What a tasty no bake treat. 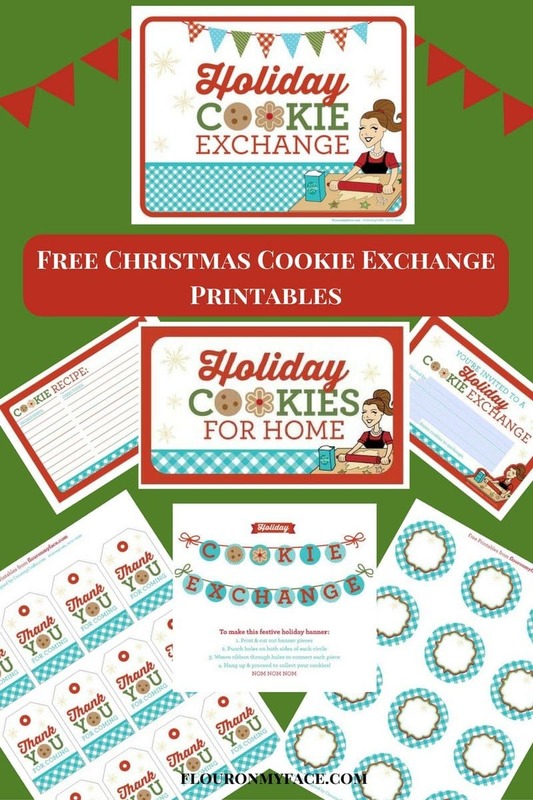 Perfect for cookie exchanges and “food gifts” too. They make perfect cookie exchange cookies. 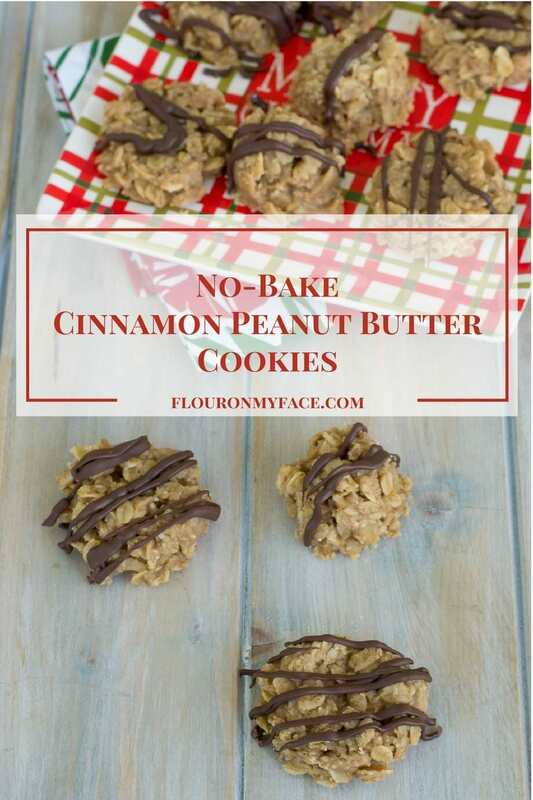 These sound amazing Arlene, I LOVE no bake cookies! Sarah thanks so much. 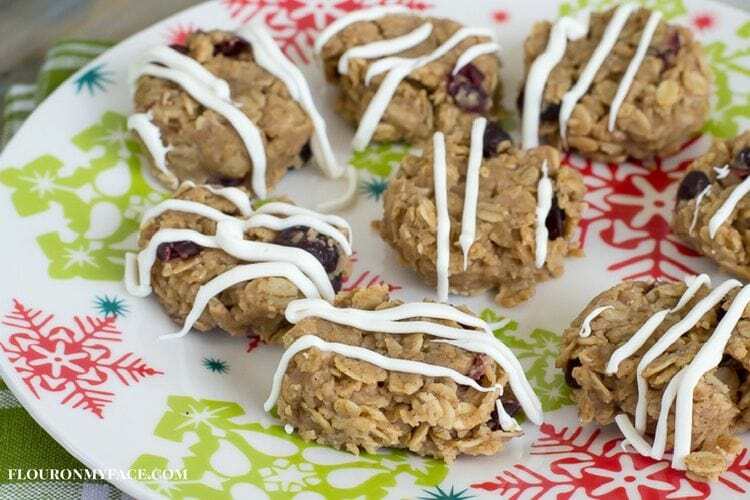 No bake cookies are perfect for busy people during the holidays! Such an amazing combination – Cinnamon peanut butter and cranberry! What a winning combination of flavors. I have a new appreciation of no bake cookies…. and a very soft spot in my heart for PB and then the addition of cinnamon! Perfect! I had to try this combo and loved it… great idea.